One Chinese New Year, Goldy Luck’s mother sends her to take some traditional turnip cakes round to their panda neighbours, Mr and Mrs Chan and their son Little Chan, and the story proceeds along well-known lines for those familiar with Goldilocks and the Three Bears – but here, we don’t finish when Goldy Luck runs away. In fact, that’s definitely only half the story because Goldy Luck returns to help the Chans clear up the mess and makes friends with Little Chan in the process. 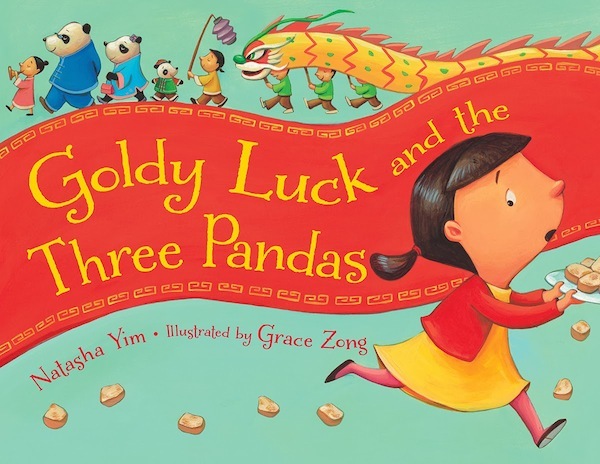 Goldy Luck and the Three Pandas is a great readaloud and no doubt the many onomatopoeias that introduce most of Goldy Luck’s speech will be echoed by young children during repeated sharings. The story also packs in plenty of cultural detail, not only in conveying Chinese New Year customs but also via the similes that are scattered throughout the text: so, for example, when she tries out Mrs Chan’s soft armchair, Goldy Luck feels like the ‘stuffing in a pork bun’. And there are witty, decudedly contemporary touches too, like Mr, Chan’s massage chair and Mrs Chan’s electric bed that ‘began to fold her up like a dumpling’. Grace Zong’s illustrations convey the whole gamut of facial expressions beautifully and are sure to raise a chuckle. They offer subtle details too, such as the fate of the red envelope that unlucky Goldy Luck had lost the previous New Year, or a glimpse of a dragon procession through an open door. An Author’s Note provides some factual background to Chinese New Year Celebrations and there’s also a recipe for turnip cakes. 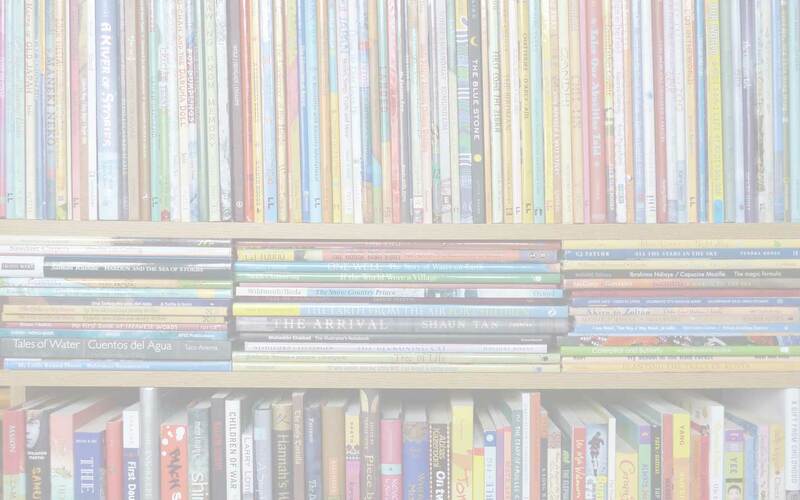 Charlesbridge Publishing, children's books for Chinese New Year, Goldy Luck and the Three Pandas, Grace Zong, Happy Chinese New Year!, MWD book reviews, Natasha Yim. Bookmark.